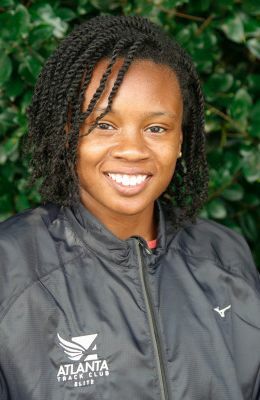 A 2018 and University of Georgia graduate, Keturah Orji became the first collegiate American woman to win eight national field titles. She is the American indoor triple jump record holder, a 2016 Olympian, and a U.S. Champion in the triple jump. In 2018, Orji was named the NCAA Woman of the Year and became the first ever UGA athlete to win the Bowerman Award, collegiate track and field's highest honor. She joined Atlanta Track Club after graduation and continues to train in Athens, GA.